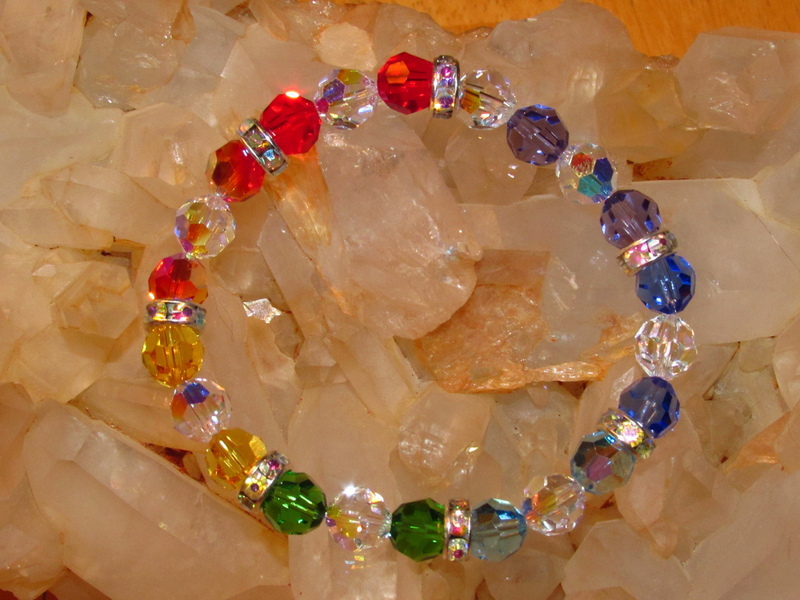 These color crystals combine to awaken the compassionate heart within and cultivate a boundless capacity to receive love from ourselves and the universe. Deep green shades also represent growth and harvest in your endeavors. 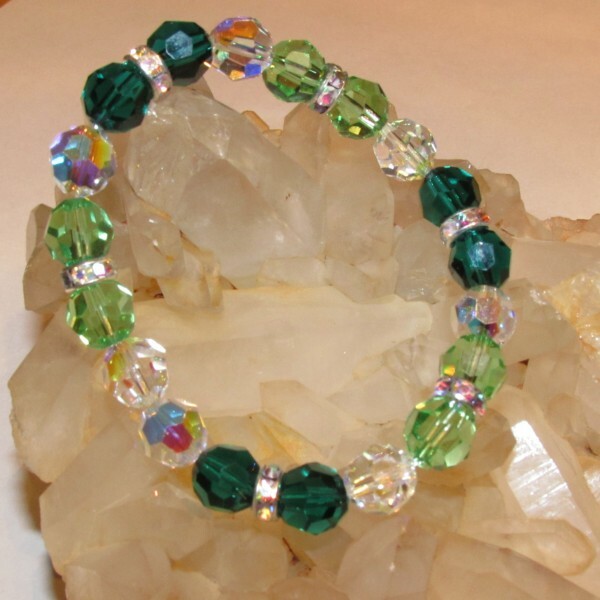 Combined with light green and pink, they help to promote growth in love. Available in small or large . Mention bracelet size in “notes” section of order. 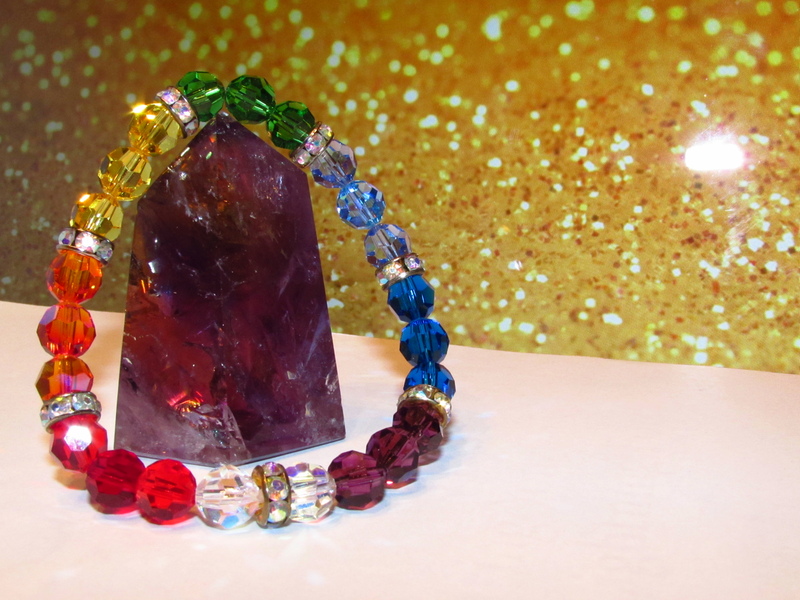 Some of our bracelets will have a combination of different chakra crystals, for instance, purple and blue. In these cases you simply apply the quality of one to the other. The crown chakra’s purple brings the higher mind and energy to the color with which it’s paired. Purple with blue would help to bring your higher mind to communication endeavors such as writing. Blue would add psychic awareness; Dark green, growth and abundance; Mild Green, balance and love; Yellow, intellectual creativity and healing; Orange, rebirth, new projects, and enthusiasm; and finally, red would add power, energy, activity, courage.